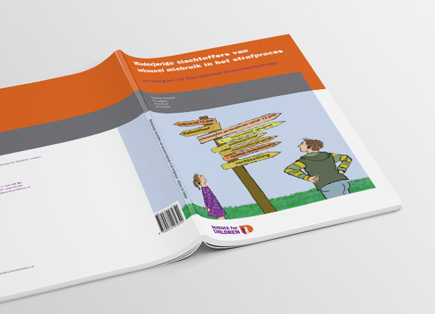 According to the Dutch Office of Defence for Children, the National Children’s Pardon [Kinderpardon] is not effective. Hundreds of children have been residing in the Netherlands for more than five years without a legal residence permit. They do not speak the language of the country of origin and live in fear because they can be deported at any time. 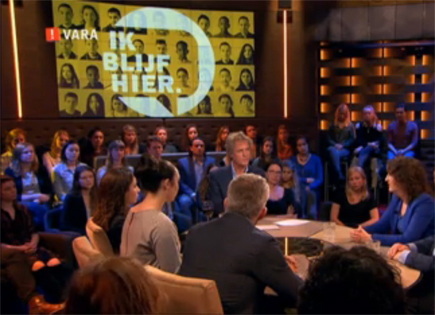 Last night the the National campaign ‘I Stay Here’ was presented on Dutch television. The aim of this campaign is to give these children a voice and stop the uncertainty of their current legal status. 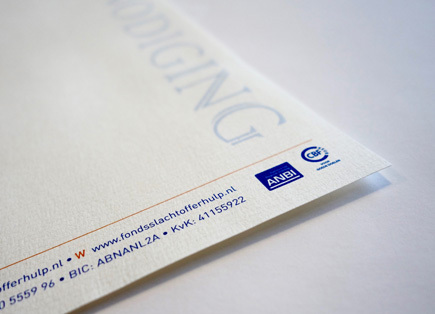 Logo, letterhead and flyer for the Pieter van Vollenhoven Emergency Fund. This Fund helps victims in financial distress by means of financial and professional aid. Today, I finally purchased Google’s Cardboard VR-Viewer. Once the kit (cardboard + lenses) is assembled, a regular smartphone is inserted. By use of specialized apps and the phone’s built-in gyroscope, this offers a cheap way to discover and play with Virtual Reality. Think 3D-video, games, and ‘experiences’. 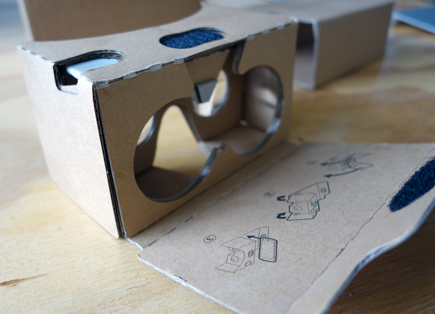 Since its introduction in 2014 Google has shipped over 5 Million Carboard VR-Viewers. It’s not so much about the device itself, but the new possibilities offered by creating an easy-access platform. For both designers and creatives tools are available to create 360º-videos (Jump app), panoramic images (Cardboard Camera) or games (Unity-software). Some predict the next viewer will work without a cellphone or computer, using a built-in screen, processor and camera. 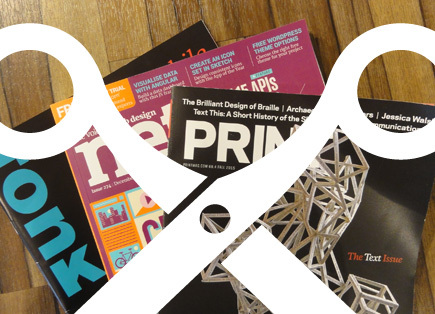 Research shows that paper/tangible mailings have a greater impact on the recipient than digital mailings. 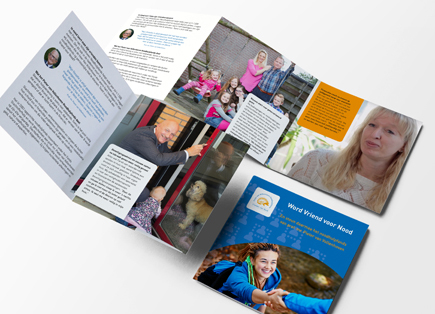 For a specific target group of the Dutch Victim Support Fund we realized an exclusive and striking design with attention to quality and detail. 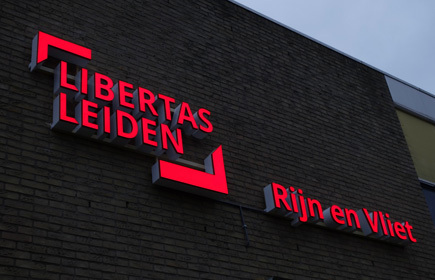 Custom illuminated sign for Libertas Leiden. We designed over thirty items for 10 different locations. The goal of ‘Kind in azc’ is to improve the situation of children in asylum (refugee) centers. This resulted in a flyer/poster answering the question “What is childfriendly care according to children?”. 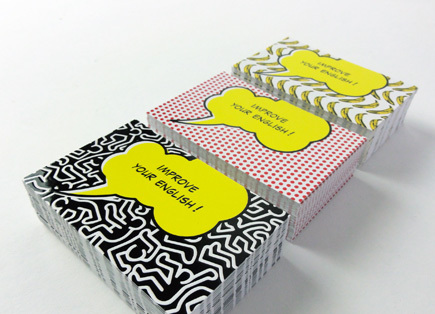 Businesscards for ABC Easylearning in 3 different designs: radiant-baby, cherry dots and bananas. With special finishing (3d-varnish). Child victims of sexual abuse from twelve years and older are to often treated like adults by law enforcement. That is the finding of Defence for Children in the report ‘Child victims of sexual abuse in criminal proceedings’. 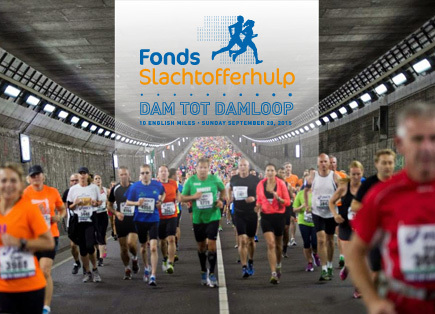 For many companies the Dam tot Dam Business Run is an excellent opportunity to achieve a sporting performance with staff or clients. To show this effort, we developed this event-specific logo for our client, the Dutch Victim Support Fund.